HomeOpinionIt’s Not All Doom And Gloom! Yes, it was gutting to let the lead slip away in the 92nd minute of our game against Spurs yesterday, but at the end of the day a point isn’t all that bad and was probably a fair result in the end. We looked great in the first half, but in the second half we invited Spurs onto us far too much and to their credit they kept attacking. Before kick-off I would’ve accepted a point away at White Hart Lane, especially in those conditions where anything can happen. It means the gap at the top of the table is now down to five points with 15 games remaining, with our next eight fixtures all being winnable games. 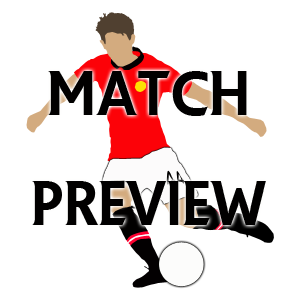 United next PL 8: Southampton (H), Fulham (A), Everton (H), QPR (A), Norwich (H), West Ham (A), Reading (H), Sunderland (A). Man City next PL 8: QPR (A), Liverpool (H), Southampton (A), Chelsea (H), Villa (A), Wigan (H), Everton (A), Newcastle (H). Surely we have to be aiming to increase that five point gap looking at the next eight for both clubs, we should be aiming to collect at least 20 points out of 24 if not more. City on the other hand have potential stumbling blocks at home to Liverpool and Chelsea, and away to Everton. Another positive coming out of yesterday was the solidity of our defence, Vidic and Ferdinand looked superb for the best part of 90 minutes, they were putting in great blocks, heading the ball away and making last ditch tackles. I love Jonny Evans just as much as the next United fan, but there is nothing like having Vidic and Ferdinand at the heart of our defence. David de Gea had another great game in the shot-stopping department, if it wasn’t for him we probably would’ve came away with no points yesterday and the unfair criticism he is receiving from the media is so harsh on him, he made some truly world-class saves yesterday which the press gave him no credit for whatsoever. We’ve extended our Premier League unbeaten streak to 11 games now, and although its a big ask, if we could make it to the end of the season unbeaten, that’d go a long way to winning our Premier League crown back. Last season we managed to take seven points from the so called ‘bigger teams’ away from home (City, Spurs, Chelsea, Liverpool, Arsenal), this season we’ve amassed 10 points from those games already, with Arsenal still to play, and with the Emirates being a happy hunting ground in recent years, you’d fancy us to add to that points tally. We’ve almost got a fully fit squad of players to choose from, and as the FA Cup is now in full swing, and the Champions League is due to start up again next month, it’s vital that we keep it that way, our squad has to be the strongest in the league right now, and if we utilise it correctly which i’m sure Sir Alex will, we’ll be able to keep fighting on all fronts. Robin van Persie scored again yesterday and with him in our side anything is possible this season, if we keep our heads and play well, this season could really be a special one.